Buy high quality barkoo dental snacks barkoo. 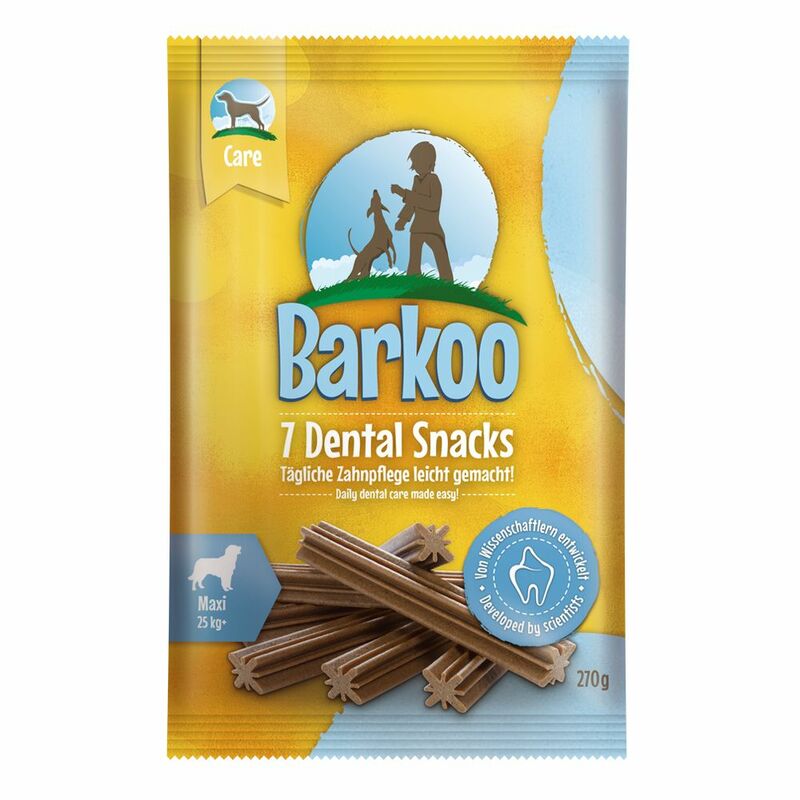 Barkoo Dental Snacks combine Dental cleaning with chewing fun! These tasty treats help to improve your dog’s Dental hygiene and are perfect for small, medium and large breeds of adult dogs. Barkoo Dental Snacks are available in the following sizes: For Mini Dogs (weighing 5-10kg) For medium Dogs (weighing 11-25kg) For maxi Dogs (weighing 25kg+) Barkoo Dental Snacks at a glance: Dental and chew Snacks for Dogs The unique eight-point star shape and special texture helps to reduce plaque When fed daily, these Snacks support healthy Dental hygiene No added sugar Suitable for Dogs of every size with three different sizes to choose from Developed by scientists Barkoo – Mad about Snacks!. When fed as a daily supplement, these Snacks help to strengthen gums and minimise the risks of plaque build-up. The unique eight-point star shape and special texture helps to reduce plaque formation on both your dog’s teeth and directly around the gum line. Chewing on these treats are a more fun and comfortable way of keeping your dog’s teeth clean.